Genuine Eriksson can heal people. She doesn’t know why or exactly how. When performing the miracles in a church setting becomes to stifling, she strikes out on her own with one of the men she’s healed, working for money when her clients can afford it and trying to stay out of the public eye. It’s complicated. 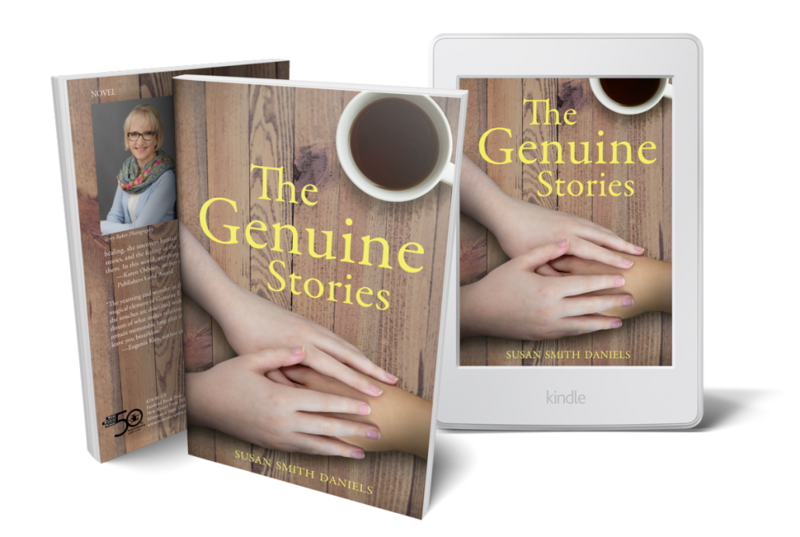 Author Susan Smith Daniels’ debut story collection, “The Genuine Stories,” introduces Genuine and her abilities. These linked stories investigate the nature of power and how relationships are defined and remade by it. Genuine’s gift is mysterious and the moral issues surrounding its use are thorny. Daniels embraces these facts, offering up textured stories that feel grounded in the often stark realities of life rather than in a Pollyanna portrayal of a healer intent on repairing bodies for purely selfless reasons. Visit book club page for The Genuine Stories discussion questions. Susan is also the author of The Horse Show Mom’s Survival Guide.